MAG Subscriptions. 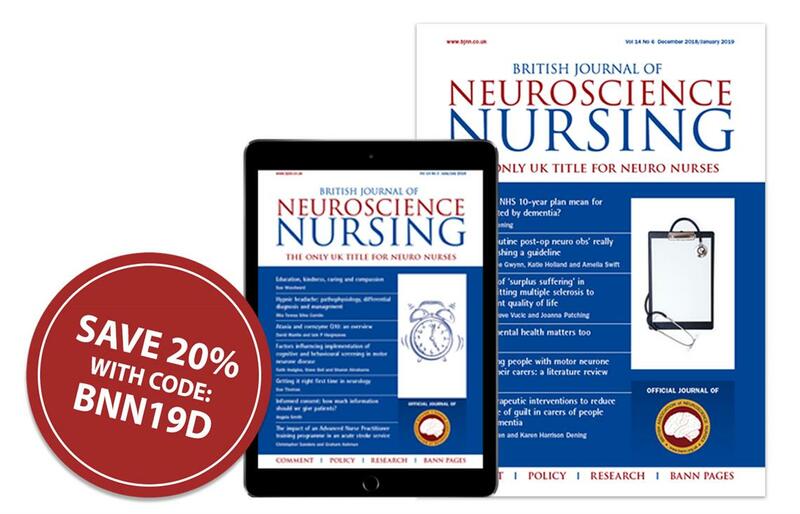 British Journal of Neuroscience Nursing - Sale! The Sale is now on! You can save up to £21 on your subscription - order now with code BNN19D. British Journal of Neuroscience Nursing is the only journal in the UK dedicated specifically to neuroscience nursing. The journal publishes articles on all aspects of clinical practice in neuroscience nursing, including neurosurgery, critical care and long-term neurological conditions. It addresses both paediatric and adult care, and endorses inter-professional working with members of the multidisciplinary team. This once-a-year offer ends on 14th June (11:59PM GMT).